“It was almost exactly a year ago that I wrote here in these pages at Forbes.com about the eagerly anticipated arrival of the Green Spot, a delicious single pot distillation Irish whiskey made in tantalizingly small quantities. In that article I called it “arguably Ireland’s greatest whiskey,” and with the hindsight of time, I realize that may have been just a bit overzealous. 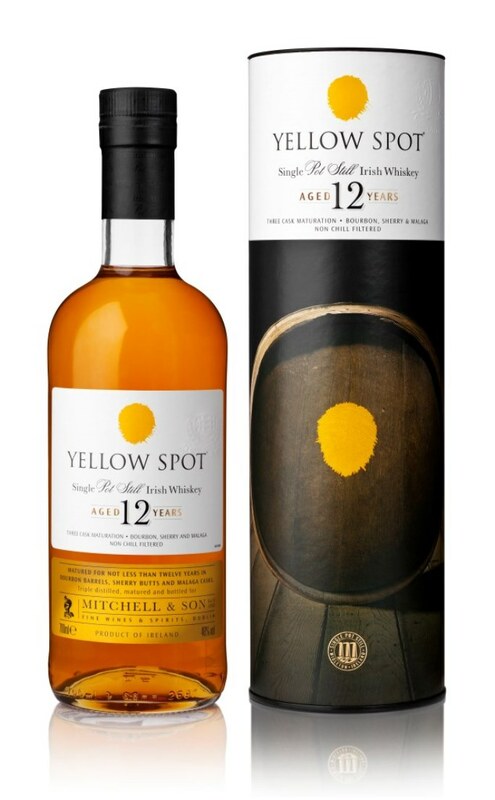 If there is one Irish whiskey even more coveted than the Green Spot, it is its big sibling Yellow Spot, and that too is now available here for the very first time, starting this month. In fact, the whisky is fairly new in Ireland too, at least since it was discontinued in the 1950s and then reintroduced in 2012. For about the past century, the vast majority of Irish whiskies have been blends, but the Midleton Distillery in County Cork has been aggressively pushing for a comeback to the roots of Irish whiskey making, with a variety of a single pot still bottlings. These are similar to single malt whiskies in that each is each is the product of just one distillery and in this case, one still (but not as hyper-specific as single cask whiskies, the yield of a single production run put into a particular barrel). Most of the world’s distilling today is done in much larger commercial continuous stills, whereas pot stills are their technological predecessors, the smaller, older versions usually made of copper which you can see displayed at distilleries or museums, mostly as antiques. However, they are still widely used in artisan spirit production, and actually have made a bit of a comeback with all the new small batch distilleries, and are particularly popular for Coganc, which by law can only be made in copper pot stills. Midleton has been making single pot still whiskies under serval labels, including Powers, Midleton, Redbreast and now Green and Yellow Spot, both revivals of once venerable brands. Fittingly, the largest copper pot still in the world was built for the Midleton Distillery nearly two hundred years ago, and while no longer in use, it sits outside as a much photographed landmark.